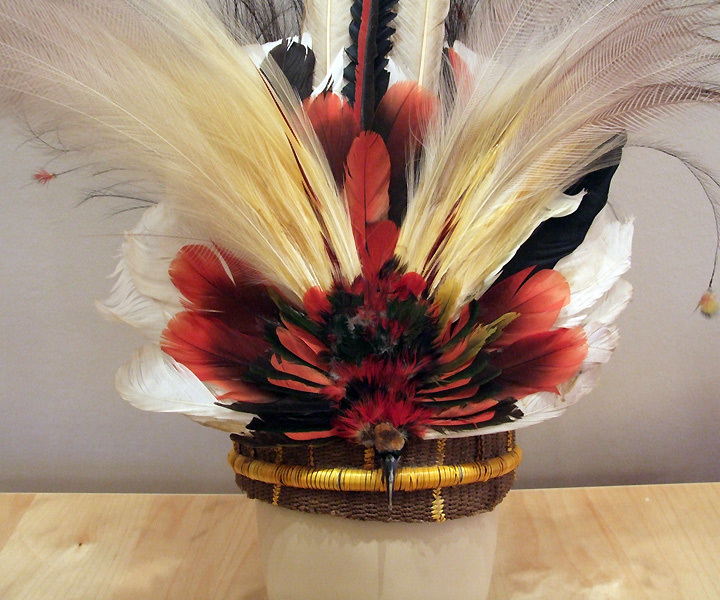 This ceremonial warrior headdress of the Dani tribe I bought at a local bazaar in the town of Wamena, located in the middle of the jungle in the central part of West Papua. It is a hoop made of reeds and stitched with vegetable ropes. 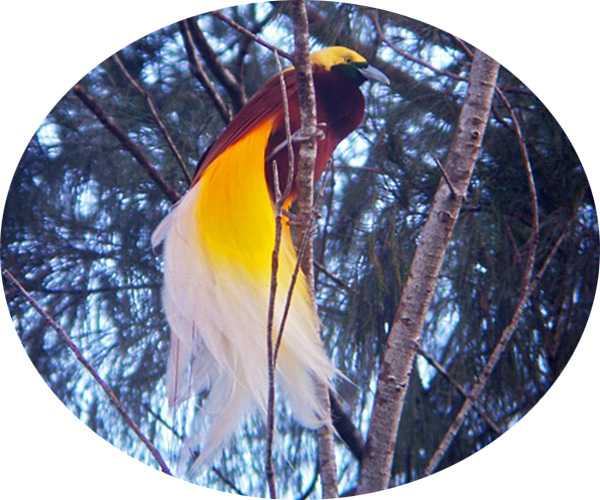 A stuffed bird of paradise is attached at the front of the hoop (pictured). No addition to such an amazing decoration is required. 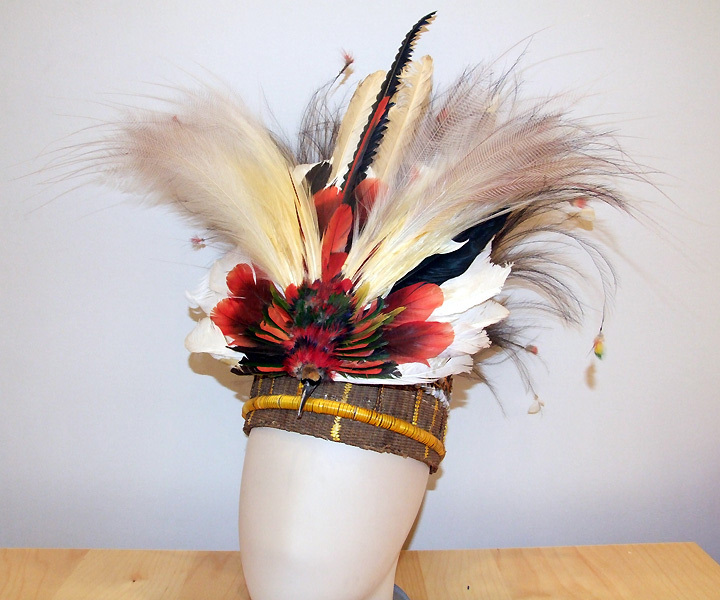 Behind the hoop are the strings to resize the headdress to fit snugly. 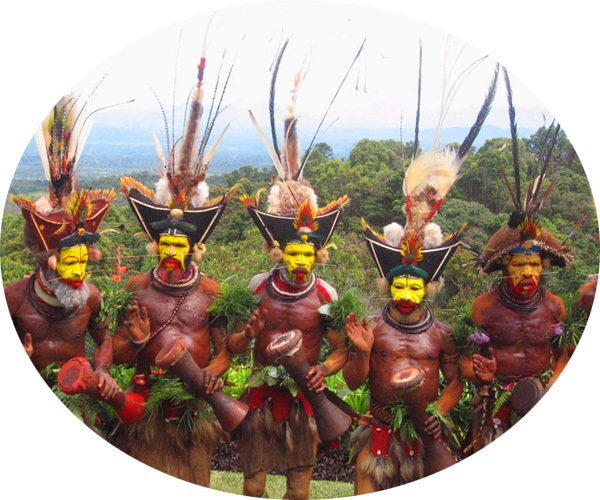 Apart from the small Dani people from whom this sample was purchased, similar headdresses wear other peoples of the island of New Guinea.